empowering community leadership, and connecting communities to health and wellness resources. Vision: Our vision is to be the world’s resource for everything Hip Hop and green. We empower people to lead healthy lives. 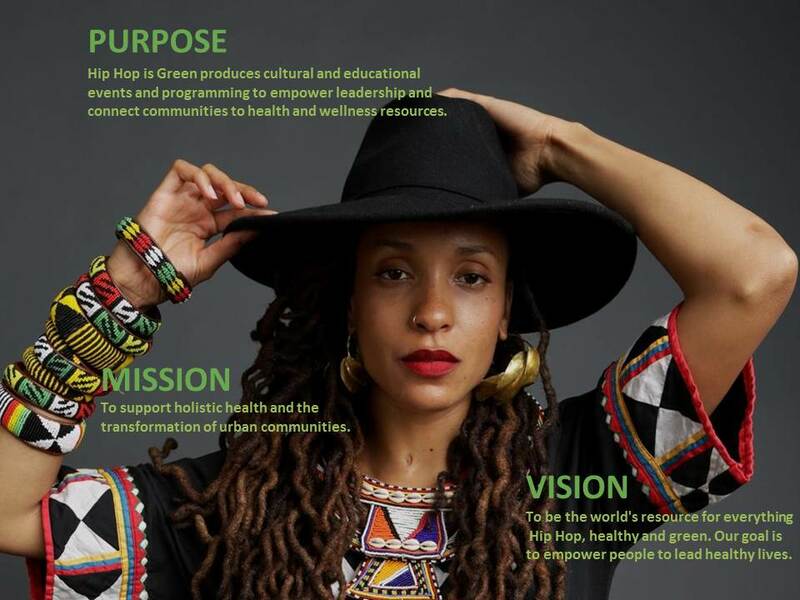 Hip Hop is Green (HHIG) is a pioneering movement led by a team of artists and performers that use the power and influence of Hip Hop to speak to youth and spark positive changes in their lives. lies in areas of health and wellness through creative media and live events. The Hip Hop Green Dinner is our most successful project and it is the first and only event in the world combining Hip Hop and serving full vegan meals to youth and families and over the last couple of years we produced the first ever plant based Hip Hop tours in history - the Hip Hop is Green tour and the 10th Element of Hip Hop Health & Wellness Tour. For the past eight years Hip Hop is Green (HHIG) has lead & created a healthy living movement that has generated a buzz through the many events we have produced around the country and we have assembled the largest team of vegan Hip Hop artists, chefs, authors, naturopathic doctors and health speakers. To date we have served almost 5000 vegan meals to youth and families. We are on the vanguard of the new trend of people open to health, wellness and discovering new products. 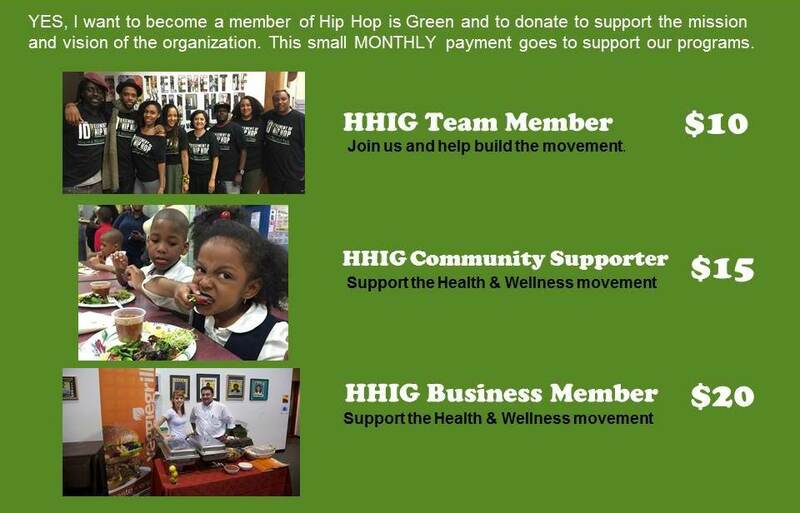 We are the pioneers in this new Green Age of Hip Hop and we make being healthy cool to youth people and families.